"In 1371, Fletchers of the City of London had petitioned the Council of Aldermen to allow the separation of their trade from that of the bowyers and, this being granted, The worshipful Company of Fletchers was formed." "If archer shoots just for fun he has all his skill. and his breath is uneasy. His skill was not lessened, but the vision of the target changed him." "....... Now flames, the blazing fire, must devour the lord of warriors who often endured the iron tipped arrow shower, when the dark cloud loosed by bow strings broke above the shield wall, quivering; when the eager shaft, with its feather garb, discharged its duty to the barb." In 1415, Henry V sailed to France for a summer of campaigning, to take control of some of his lands in France. After a successful but long siege of Harfleur, he decided to send most of his dysentery stricken men home on ship, and march with his remaining troops through the French countryside to Calais (and the hopefully returned ships), before returning to England. Having held off earlier in the Summer, the French nobles marshaled their forces to block Henry's march north. After a good deal of maneuvering, and some serious marching, on October 25th, 1415, the French forces finally blocked the road to Calais and challenged Henry to battle, something he did not at all desire. The battle lines were drawn in some recently plowed fields between the villages of Agincourt and Tramecourt. The English forces, weary and ill from the long march, were outnumbered by the French forces somewhere around 5 to 1, and the situation appeared to be hopeless. In addition, there is a story that the English archers were threatened with having their bow-string fingers cut off after the battle and then sent home, instead of killed, as a warning to the English people. In the morning, the English set stakes (against the expected calvary charge), in a somewhat tapering field with trees on both sides, and prepared to receive. At first, the French waited; Henry finally ordered the English line to move forward to longbow range and stop. The first round of arrows to strike the French ignited a calvary charge (both wings) and the battle was joined. The calvary charge was blunted by concentrated English longbow firing, the muddy field, and wooden stakes the English archers had quickly re-driven into the ground. The rest of the French nobles, knights, and men-at-arms advanced on foot (they had tried this at Crecy, too, with similar results), slowly through the muddy field, certain of their superiority, having chosen not to use their own archers, though they had them available (can you say ransom?). The French were peppered by the English archers (firing constantly), as they tried to engage the English nobles, who were grouped in three openings in the stakes. Those French men felled by arrows or pushed to the ground were helpless, and most died if they fell (many more suffocated than were killed in battle). The English line held, while the archers picked off the relatively immobilized French, most of whom could not easily advance due to the tapering field (and soon the piles of bodies), or retreat due to the press of those behind trying to advance. The battle turned into a slaughter and a rout, and the surviving French departed the field. While sources vary, it appears that the English lost at most a few hundred men while the French lost several thousand. The English longbow men played a major role in greatly reducing the French ability to attack, and Henry V's excellent choice of battlefield allowed his limited forces to take their best possible position, something the French seem to have ignored, or forgot in the excitement. The eager French were easily provoked into an attack (doubtless the thought of a King's ransom was just too tempting), and no commander on the field had the ability to stop the charge, once it had begun to go wrong. The English won the day, having killed almost all of the important French commanders. Though they still outnumbered the English army, the French army was disheartened and neutralized. The English army proceeded to Calais and England without further trouble. 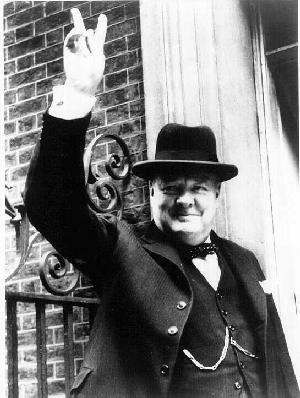 Winston Churchill (a historian as well as politician) said that the idea for his famous two fingered salute during WWII - that summed up their Never-Say-Die attitude - began with the Battle of Agincourt. The English have been using the archer's two fingered salute (was that with the palm in or out?) for some centuries now, and my hope is that they will always remember the original basis for it. To see the wind, with a man his eyes, it is unpossible, the nature of it is so fine, and subtle, yet this experience of the wind had I once myself, and that was in the great snow that fell four years ago: I rode in the highway betwixt Topcliffe- upon- Swale, and Berowe Bridge, the way being somewhat trodden afore, by wayfaring men. The fields on both sides were plain and lay almost yard deep with snow, the night afore had been a little frost, so that the snow was hard and crusted above. That morning the sun shone bright and clear, the wind was whistling aloft, and sharp according to the time of the year. The snow in the highway lay loose and trodden with horse feet: so as the wind blew, it took the loose snow with it, and made it so slide upon the snow in the field which was hard and crusted by reason of the frost overnight, that thereby I might see very well, the whole nature of the wind as it blew that day. And I had a great delight and pleasure to mark it, which maketh me now far better to remember it. Sometime the wind would be not past two yards broad, and so it would carry the snow as far as I could see. Another time the snow would blow over half the field at once. Sometime the snow would tumble softly, by and by it would fly wonderful fast. And this I perceived also that the wind goeth by streams and not whole together. For I should see one stream within a score on me, then the space of two score no snow would stir, but after so much quantity of ground, another stream of snow at the same very time should be carried likewise, but not equally. For the one would stand still when the other flew apace, and so continue sometime swiftlier, sometime slowlier, sometime broader, sometime narrower, as far as I could see. Nor it flew not straight, but sometime it crooked this way sometime that way, and sometime it ran about in a compass. And sometime the snow would be lift clean from the ground into the air, and by and by it would be all clapped to the ground as though there had been no wind at all, straightway it would rise and fly again. And that which was the most marvel of all, at one time two drifts of snow flew, the one out of the west into the east, the other out of the north into the east: And I saw two winds by reason of the snow the one cross over the other, as it had been two highways. And again I should hear the wind blow in the air, when nothing was stirred at the ground. And when all was still where I rode, not very far from me the snow would be lifted wonderfully. This experience made me more marvel at the nature of the wind than it made me cunning in the knowledge of the wind: but yet thereby I learned perfectly that it is no marvel at all though men in a wind lose their length in shooting, seeing so many ways the wind is so variable in blowing. -- from Toxophilus, by Roger Ascham (1545), transcription by John F. Tinkler. "Piecing of a shaft with Brazil and holly, or other heavy woods, is to make the compass end heavy with the feathers in flying for the steadfaster shooting. For if the end were plump heavy with lead, and the wood next to it be light, the head end would ever be downwards, and never fly straight. Two points in piecing be enough, lest the moistness of the earth enter too much into the piecing, and so loose the glue. Therefore many points be more pleasant to the eye than profitable for the use. Some use to piece their shafts in the nock with Brazil or holly, to counterweigh with the head; and I have seen some for the same purpose bore a hole a little beneath the nock, and put lead in it. But yet none of these ways be any thing needful at all: for the nature of a feather in flying, if a man mark it well, is able to bear up a wonderful weight; and I think such piecing came up first thus : when a good archer hath broken a good shaft in the feathers, and for the fantasy he hath had to it, he is loth to lose it, and therefore doth he piece it."